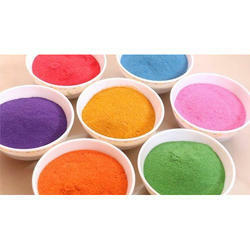 We are a leading Manufacturer of festival rangoli color and silk rangoli colors from Mumbai, India. Packaging Size 70 gms, 100 gms, 500 gms, 01 kg, 05 kg, 10 kg, 25 kg. Color Orange, Pink, Red etc. Well equipped with technologically advanced facilities, our firm is instrumental in offering Festival Rangoli Color. Our provided rangoli colors are widely acclaimed in the market due to their vibrant and eye-catchy colors, smooth texture, skin friendliness, and non-toxic nature. These are available us in different packaging options to cater the diversified requirements of our clients. Besides, customers can get this from us at pocket-friendly rates and get it delivered within the specified time frame. As per the variegated requirements of our clients, we are offering a broad assortment of Silk Rangoli Colors. The given product is precisely composed from natural ingredients with the use of innovative technology. 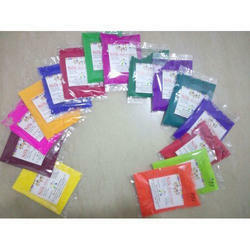 Customers can get these from us in an excellent blend of colors and different packaging options, as per their needs. Our products are tested by experts on different parameters to ensure their quality. Furthermore, we offer these at affordable rates.